In no other species of animal has such a wealth of experimental data been utilized for scientific pursuits. 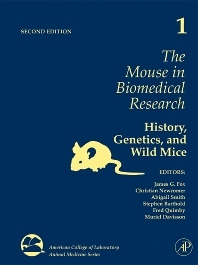 Now in its Second Edition, this Four Volume Set is dedicated to the understanding of the mouse and its role in scientific research. This valuable compendium serves as a standard reference source of information for students embarking on scientific careers, specialists in laboratory animal science, technicians in both animal care and research, and the broad scientific community. This set is also sold individually and covers History, Wild Mice, and Genetics; Diseases; Normative Biology, Husbandry, and Models; and Immunology. The Mouse Trap: How Well Do Mice Model Human Immunology?